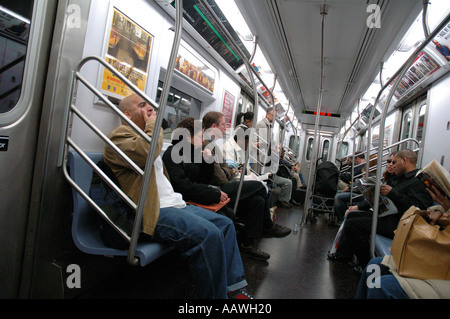 New York City Subway. 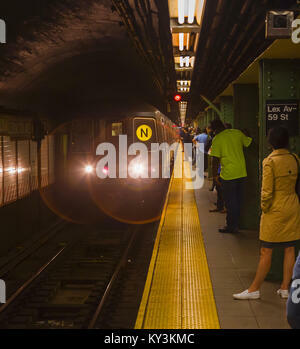 Passengers wait on a subway platform on the Lexington Avenue line at 86th Street as a train approaches. 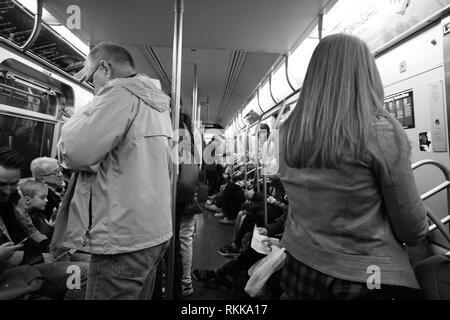 New York City Subway. 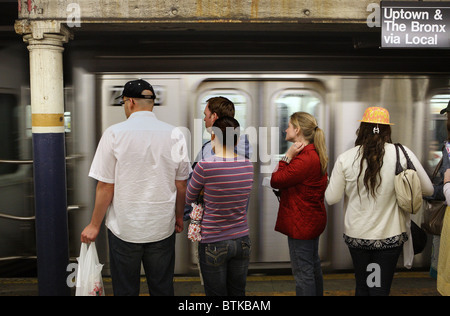 Passengers wait on a subway platform on the Lexington Avenue line at 86th Street as a train approaches. CA. 1972-75. 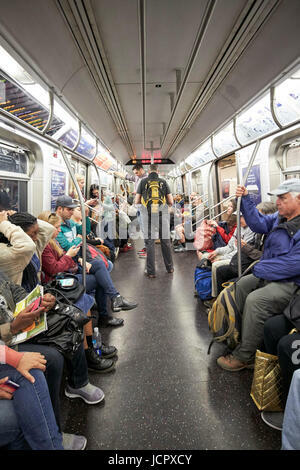 New York City Subway. 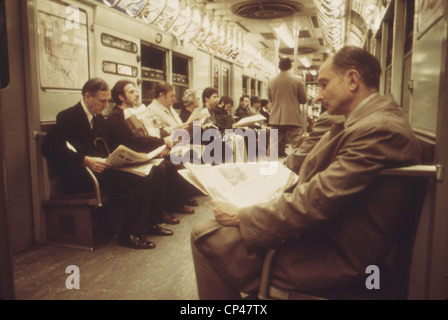 Passengers with their newspapers on the New York City Subway. 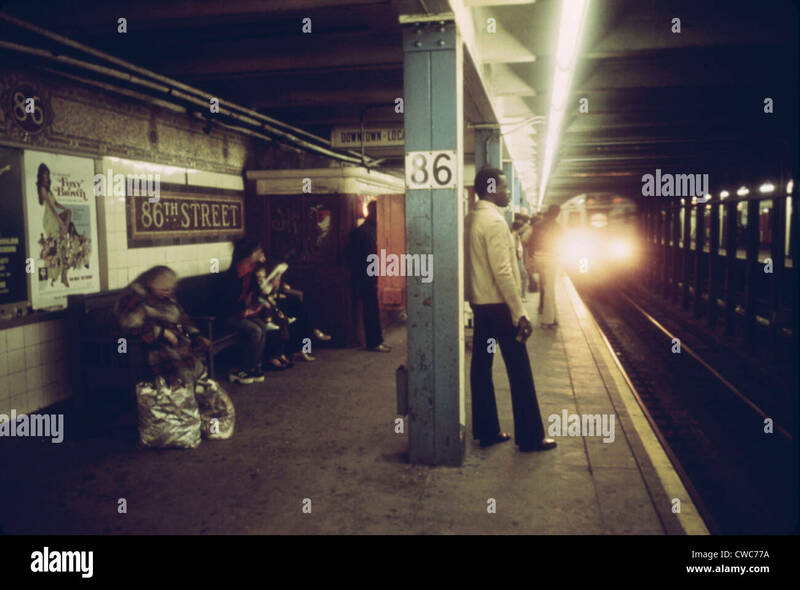 May 1973. 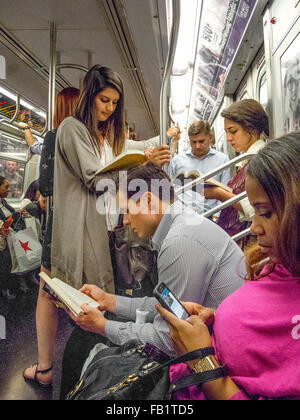 New York City subway passengers read books as they travel while a woman in the foreground reads from a cell phone. 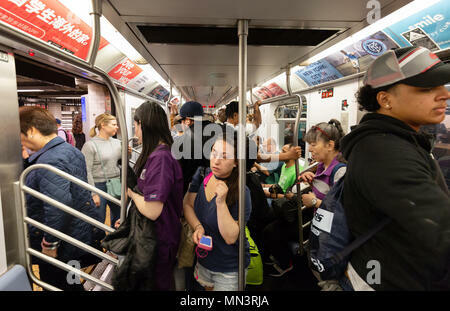 Passengers riding on New York City subway. Two passengers riding and sitting on a New York City subway. 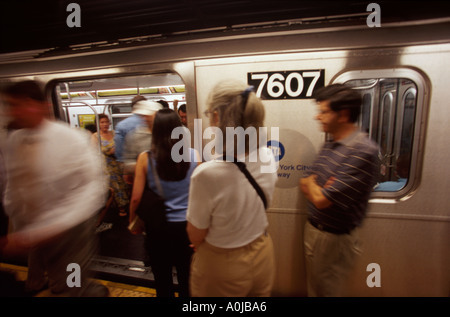 New York, New York State, United States of America. 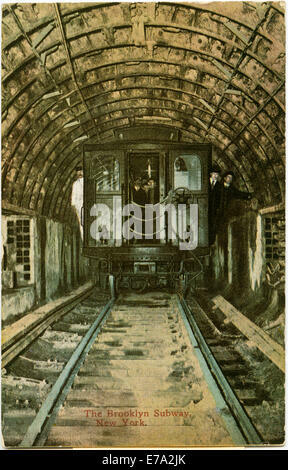 Train arriving at Lexington Avenue New York City Subway station.